Welcome, wild parrot watchers, to BrooklynParrots.com – a site focusing on the remarkable Monk Parakeets (AKA Quaker Parrots) of Brooklyn. BrooklynParrots.com is a site launched in 2005 to share information about the wild Quaker Parrots (AKA Monk Parakeets) of Brooklyn. 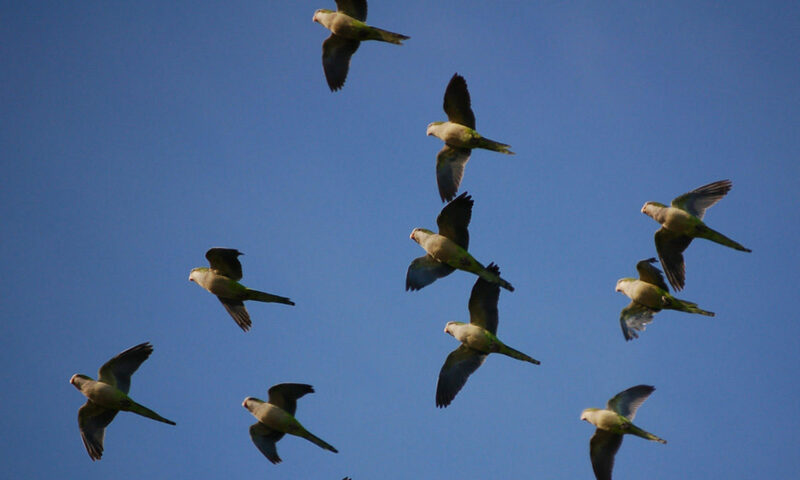 The site hosts photos of the parrots, reports from the field, frequently asked questions about the birds, and notices about the periodic “wild parrot safaris” offered to the general public.